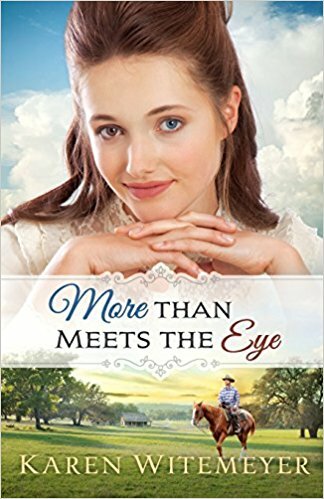 More Than Meets The Eye (Patchwork Family) by Karen Witemeyer is the first in a series of books set in 1894 Texas. 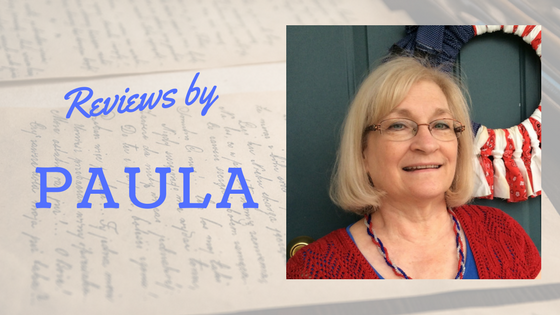 This book is set in Pecan Gap, Texas, 1894. Everybody is hiding secrets: Evangeline Hamilton, with her mismatched eyes is considered a freak. Evie, along with her adopted brothers, Zach and Seth, are hiding their real last names so they can continue as a family. Logan Fowler is hiding his identity as he seeks justice for his mother— or is it revenge? The main characters keep asking themselves: Where do my loyalties lie? As circumstances change, so do those definitions of justice and revenge. Can the love of God and human devotion overcome and unite these very different people? Karen Witemeyer delivers a delightful story with her signature humor and fiesty heroine and a hero who is trying to do the right thing. She causes the reader to ponder the issues of prejudice and acceptance, forgiveness and reconciliation. And whose justice should we really be seeking? A satisfying and exciting conclusion to this old west tale will make you glad you ventured into Pecan Gap. Karen's stories are consistently on the mark! You know you're in for a good, satisfying story that will keep you on the pages! Thanks Paula! I say this about every book by Karen, this is one of my favorite ones! I just love her writing, she always takes me on an adventure in her stories :-) Can't go wrong with her!